Splash your way into shape with an invigorating low-impact aquatic exercise. 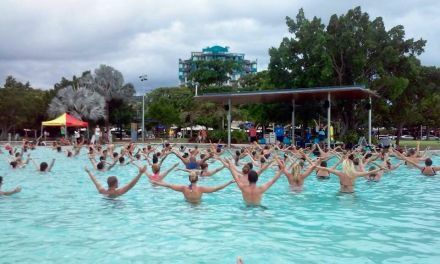 Known as the Zumba® "pool party", the Aqua Zumba program gives new meaning to the idea of a refreshing workout. Integrating the Zumba philosophy with traditional aquatic fitness disciplines, Aqua Zumba® blends it all together into workout that's cardio-conditioning, body-toning, and most of all, exhilarating beyond belief.